La Palapa Eatery & Saloon - Welcome CABOHOLICS! At La Palapa, we're all about having fun and making new friends. We eat, drink. chit chat, and enjoy the simple things in life. Did I mention eating? Come on in, pull up a chair, and make yourself comfortable. For "game days", our three big screens are positioned so there's not a bad seat in the house. Once you're settled in, get ready to give your mouth a delightful experience it won't soon forget! Bring your friends! Don't have any? You might ask yourself why, but that's okay, you'll have some new ones before you leave. Try one of our signature cocktails. You're choice - Would you like a Snapper or a Woody? We have four varieties of Snappers to choose from, but only one Woody. 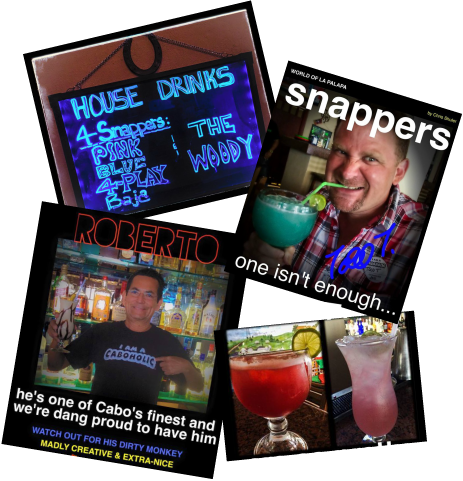 If Snappers and Woody's just don't do it for you, you might try Roberto's Dirty Monkey, he's got the best one in Cabo! In addition, we have a full bar and would be happy to make something up for you. Yes, we do sometimes serve non-alchoholic beverages! Southern-style Sweet Iced Tea is a favorite! 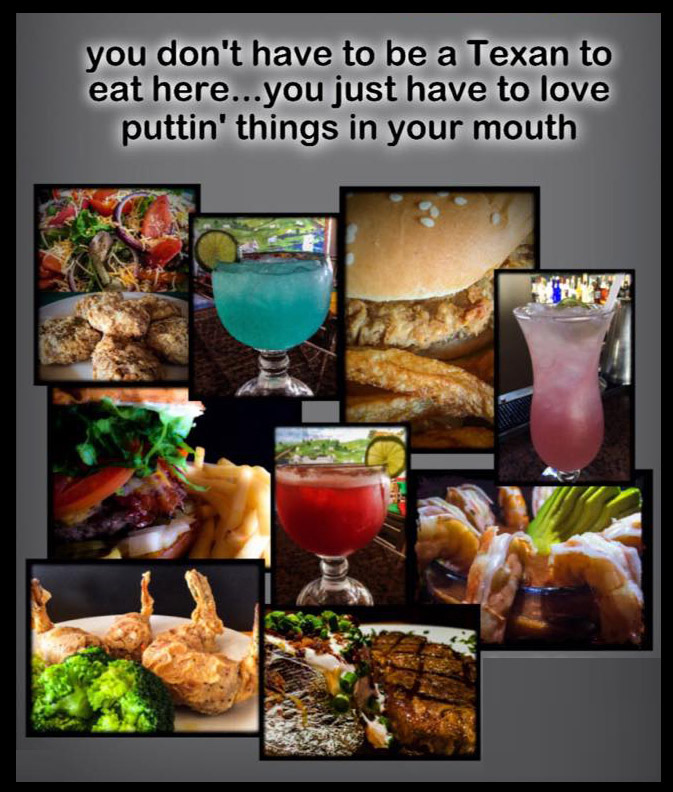 Our menu offers a variety you won't find anyplace else in the Los Cabos area, which is exactly why we decided start this little venture up. In addition to traditional Seafood and Mexican cuisine, we offer TexMex and Home-style cooking. A bowl of Texas Chili - no beans in or about it, it's a meal in itself, but you can also order it over pasta, rice, or a burger! Like Chicken-Fried? We've "chicken-fried" everything from pickles to oatmeal cookies and chosen the most tasty results to put on our menu. 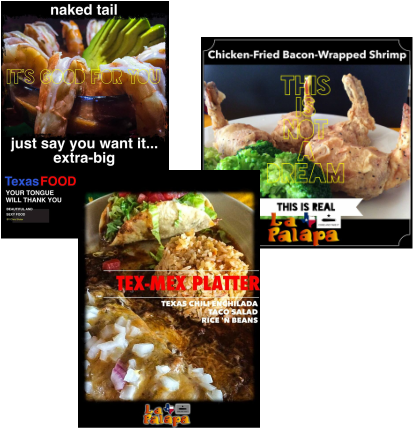 Chicken-Fried Steak, Chicken-Fried Bacon and Chicken-Fried Bacon Wrapped Jalapeños, Shrimp, or Chicken Fingers are just a few Chicken-Fried choices on the menu. 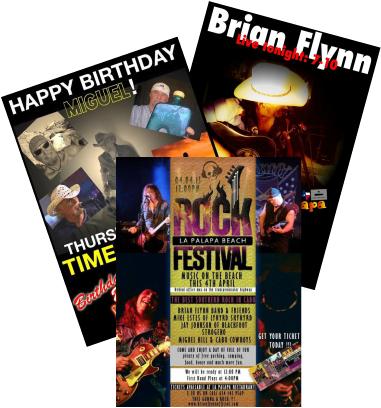 Well, we consider ourselves pretty darn entertaining, but we sometimes we'll have live music on our stage or special events and fundraisers just to spice things up a bit. Follow us on Facebook and see what's going on and when. Other Tidbits bits of what you might want to know. 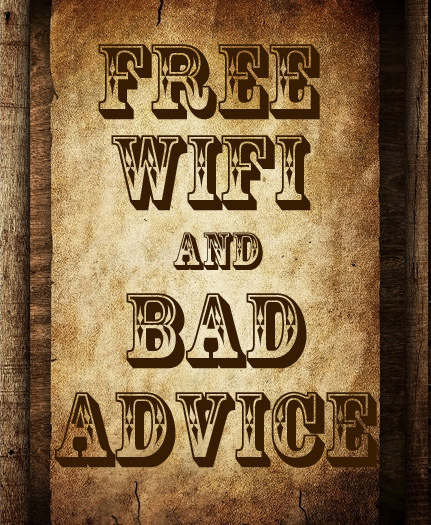 YES, we do have free WiFi for our customers. YES, we do accept Pesos, Dollars, Visa and Mastercard. YES, we do accept honor the Los Cabos Passport Discount Card. YES, we participate in the Los Cabos Guide discount Voucher program. 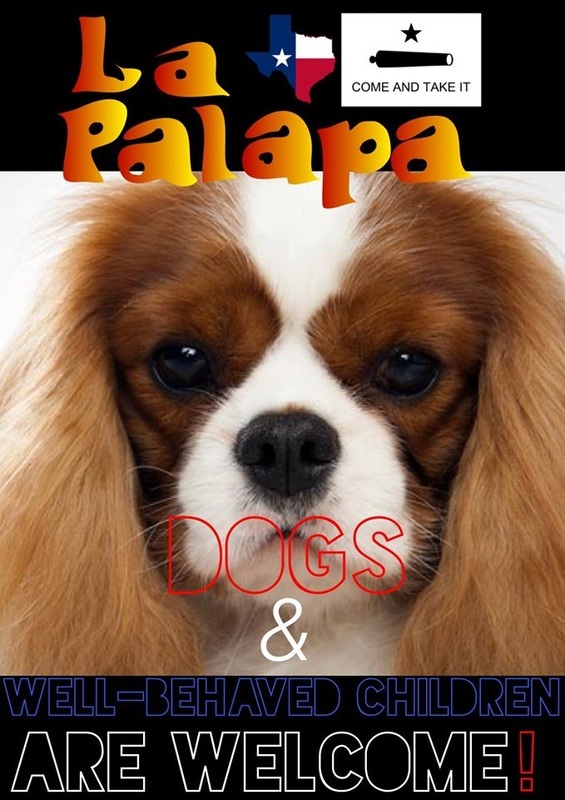 YES, we are children and pet friendly, provided your children are well behaved and your pet is friendly. 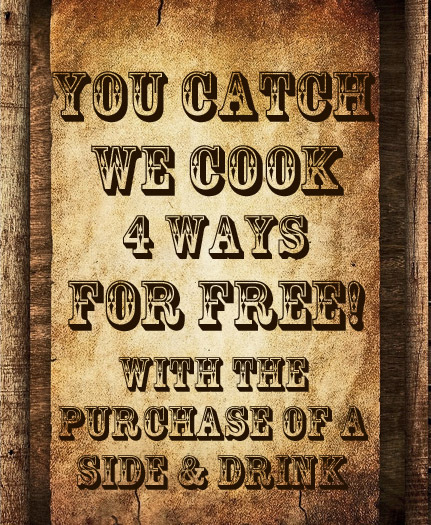 YES, you can have your Fish Cooked 4 ways for Free, provided you buy a side and a drink to go along with it. NO, sorry but, we have no Timeshare or Vacation Club Representatives working here as hosts. 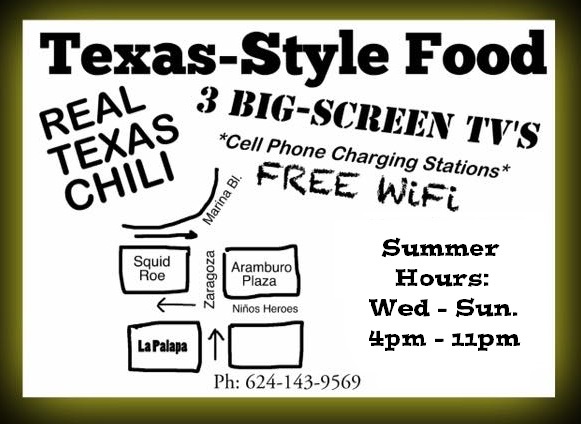 Just so you know how to find us, we are directly behind El Squid Roe (just about everyone knows where that's at). So if you're at Squid Roe, take a walk around the block, half-way around you'll see us across the street.